Capoeira for kids is a fantastic opportunity for children of all ages to be exposed to Brazilian culture and learn this unique blend of martial art, dance and music. WHY DO WE THINK CAPOEIRA FOR KIDS IS GREAT? Many reasons!! It is truly a unique blend of martial arts, dance, gymnastics, music and singing all in one. Kids love to play, it is their nature. This is why Sinha’ Kids learn Capoeira through play. Children enjoy the energy and fun of our structured workouts. CAN PARENTS BE PRESENT DURING CLASS? It is wonderful to see how each child finds his or her own aspect of the kids class to shine in and perfect in, whether it is singing, playing instruments or mastering handstands. Parents are more then welcome to come and watch their child participate in class. WHY DO WE THINK CAPOEIRA IS THE BEST FORM OF EXERCISE FOR KIDS? Capoeira is a well-rounded health and fitness program for children of all ages. It is a fun aerobic activity with various health benefits. It is a full body workout that improves flexibility while developing core muscles, strength and motor skills. And all this while playing! WHAT ARE THE BENEFITS OF MUSIC IN CAPOEIRA FOR KIDS? While we all know the health benefits of staying active, current research shows many therapeutic effects of music, singing and drumming. Yes, drumming can improve physical and mental well-being! Sinha Capoeira will teach your child to play various musical instruments as well as sing. DID WE MENTION THAT BRAZILIAN PORTUGUESE IS TAUGHT? Brazilian Portuguese is used not just for counting while performing exercises. It is taught throughout the class instruction and while singing the traditional Capoeira songs. Through Capoeira children also learn about the history of Capoeira and Brazilian culture. 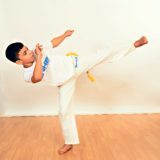 HOW TO ENROLL YOUR CHILD FOR CAPOEIRA CLASSES WITH SINHA? Walk-ins are welcome! 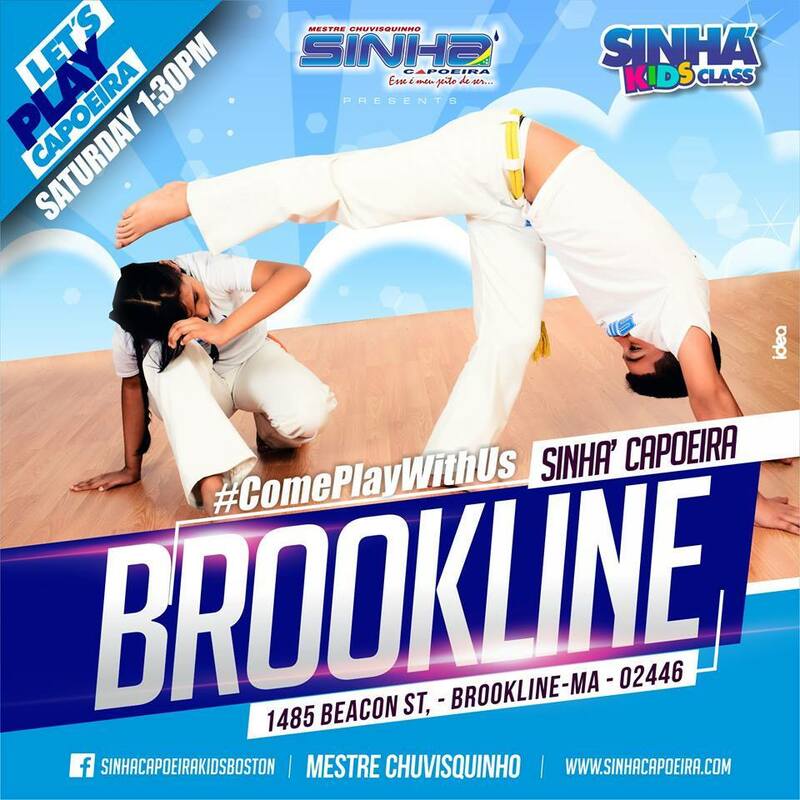 For more information about Brookline Capoeira Classes for kids please contact us at 857-417-9394.